Argh, too familiar. Complete with quote fingers, which often accompany “tweak,” “spruce” and other nonsense. I truly was cracking up when I realized that xtranormal has a “quote fingers” animation. I do believe you’ve inspired me to do an entire Freelance Follies cartoon of euphemisms for “edit”—stay tuned! Suggestions welcome. RT @drfreelance: Freelance Follies: Can you just wordsmith it a bit? 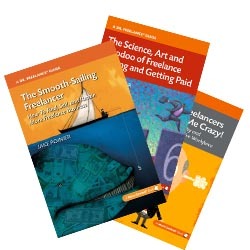 ##freelance http://bit.ly/c18yPx Love these funny videos!